A man in his 50s set himself on fire in Namyangju, Gyeonggi Province, allegedly upon receiving news of his ex-wife’s new relationship. 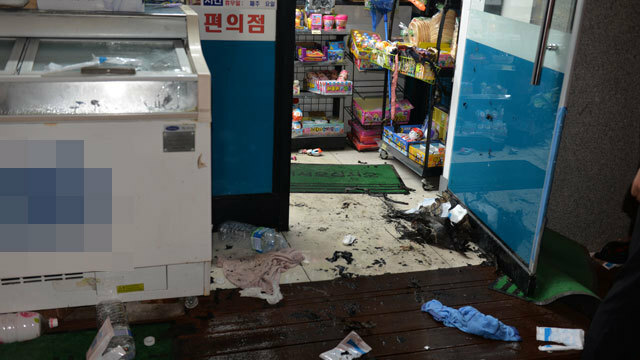 According to Namyangju Police, the man drenched himself in gasoline and set himself on fire at around 8:30 p.m. on Saturday at a convenience store operated by his ex-wife. The man suffered third-degree burns and is currently being treated at a local hospital. The fire also reportedly affected items on display at the store. According to police, the man committed the act after hearing his ex-wife had decided to move in with another man. Police plan to continue investigation after the man recovers.